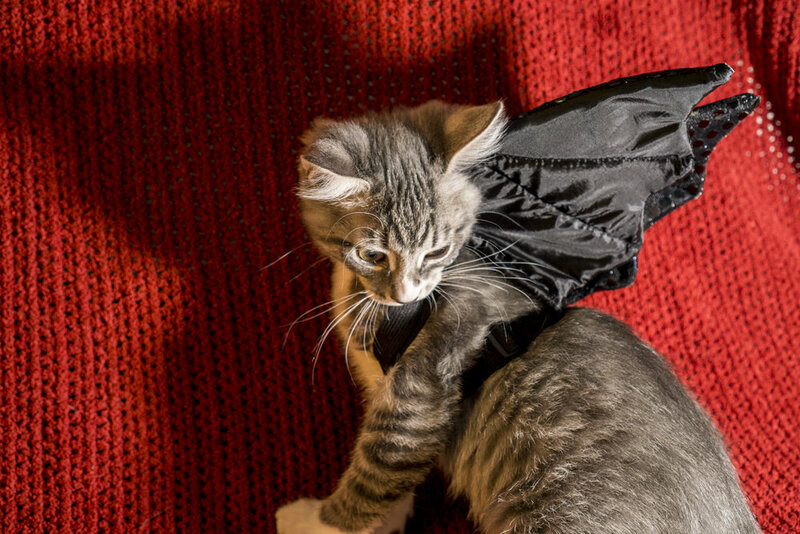 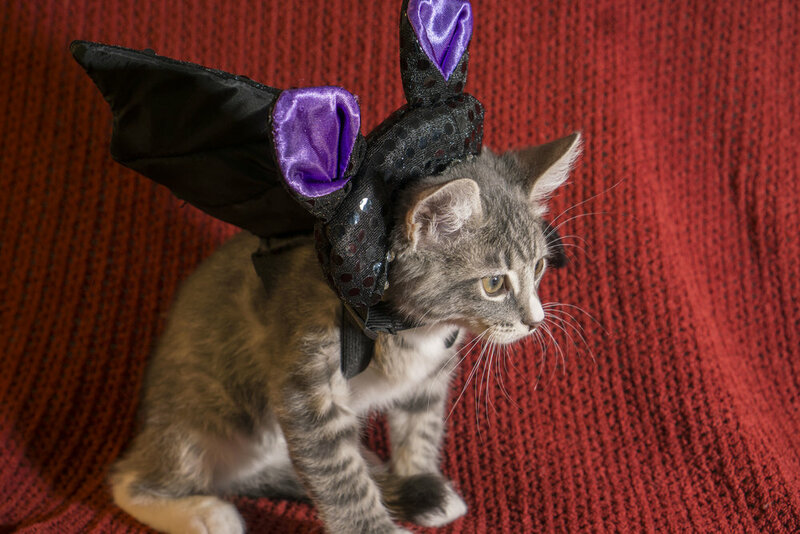 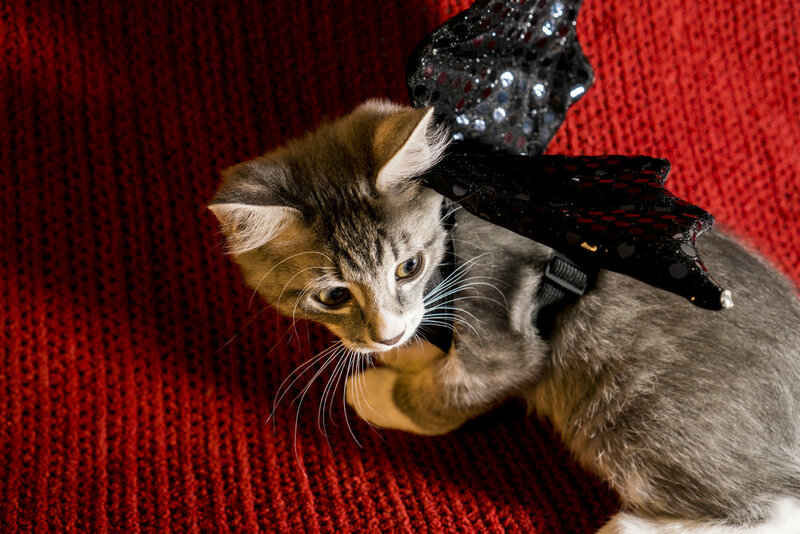 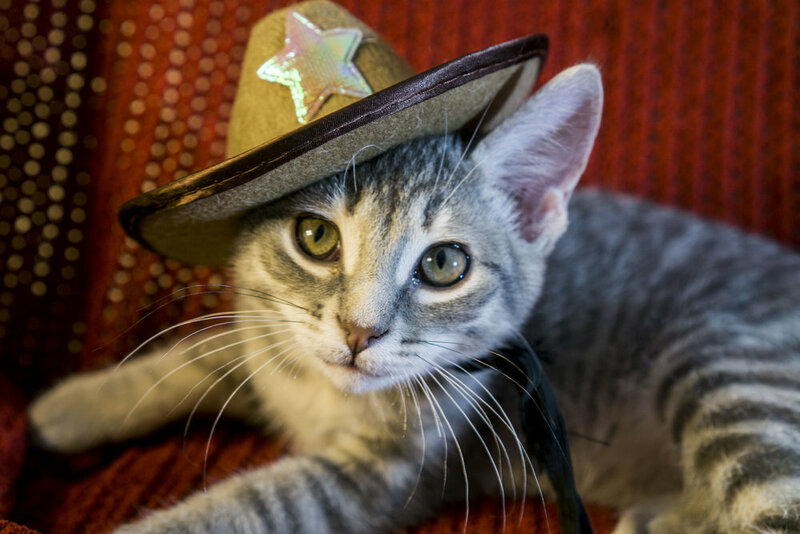 All the kittens are out having their spay/neuter today, but we did a little photoshoot with some costumes yesterday. 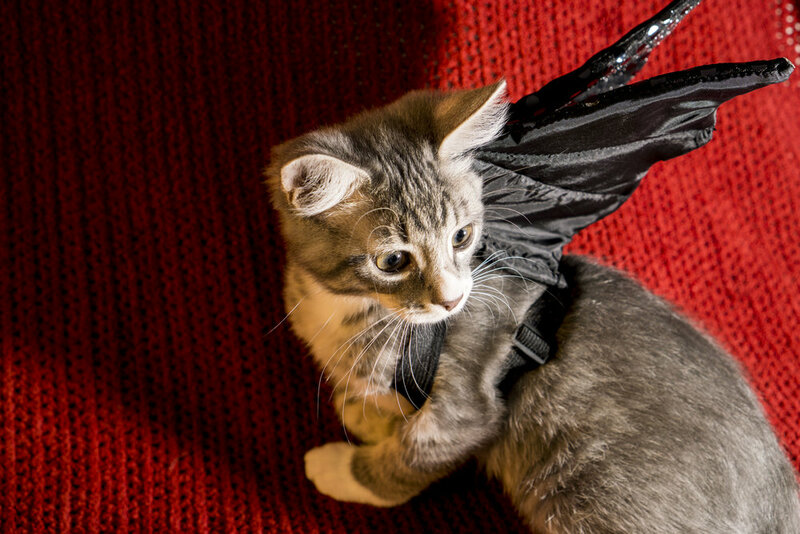 The kittens will all return this evening. 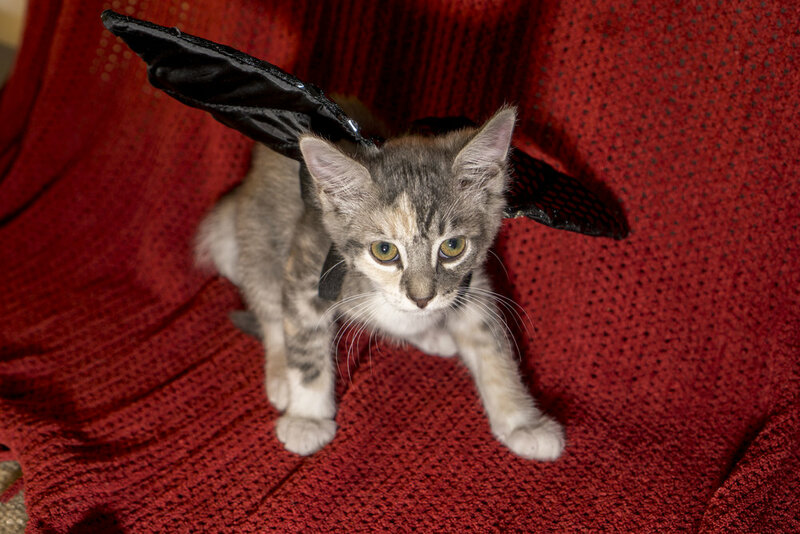 Ivy is still at PetSmart in McHenry, IL, hoping to be adopted.